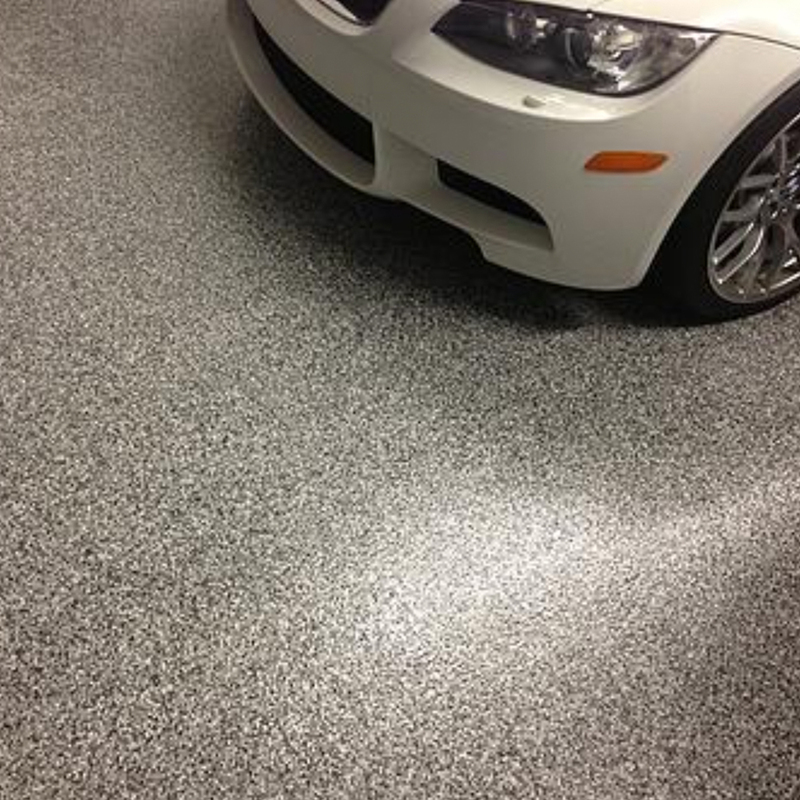 Invest in your garage floor. With our Polyaspartic coatings designed specifically for our Alberta weather, you will have a smooth, seamless finish that will truly have you amazed. No more concrete dust, cracks, or spalled and unsightly concrete as we repair everything before applying any coatings. Oil spills and such are easy to wipe up and do zero harm to the floor. The only thing that will ruin your floor is battery acid. Pick your color as we have three shades of both grey and brown in stock to choose from. Also, all Polyaspartic coatings are backed by our 10 year guarantee on workmanship and materials. Good preparation is key to achieve a long lasting finish. Garage Storage Solutions utilizes a number of preparation techniques including shot blasting, scarifying, and diamond grinding. Grinding is the preferred method of prep in most cases, as it aggressively removes surface material while leaving a smooth profile. Our Werkmaster grinding systems are considered among the best available in the world. The eight smaller diamond discs allow these machines to follow contours of the surface while maintaining a very high rate of production. All of our prep systems are designed with dust extraction systems to capture 99% of the dust created. We use only the highest quality resins and repair mortars available on the market. Polyaspartic has become the industry standard in garages, but are all poly's the same? Most polyaspartics are solvent based, in an effort to simplify installation and stretch the product much thinner. You end up with a product that shrinks as it cures, as well as one heck of a smell! Although 100% solids are much more challenging to install, our experienced installers make easy work of it. We end up with a much thicker glaze(12 mills DFT) that doesn't shrink, and the added benefit of a solvent & VOC free product. Some manufacturers such as Flexmar and HPSpartacote are based in the southern US and have designed the floor systems around their climate. Their recommended resin thickness for a full flake finish is typically 12-15 mills, not including the flake. Our system was born here in Calgary and was designed to tolerate our harsh winter road debris. Pea gravel is the enemy of floor coatings. Our flake system has a DFT(dry film thickness) of 22-24 mills. That's as much as twice the resin as our competition! Prepping a floor is a substantial job, and applying a paper thin finish will result in a shorter wear life. 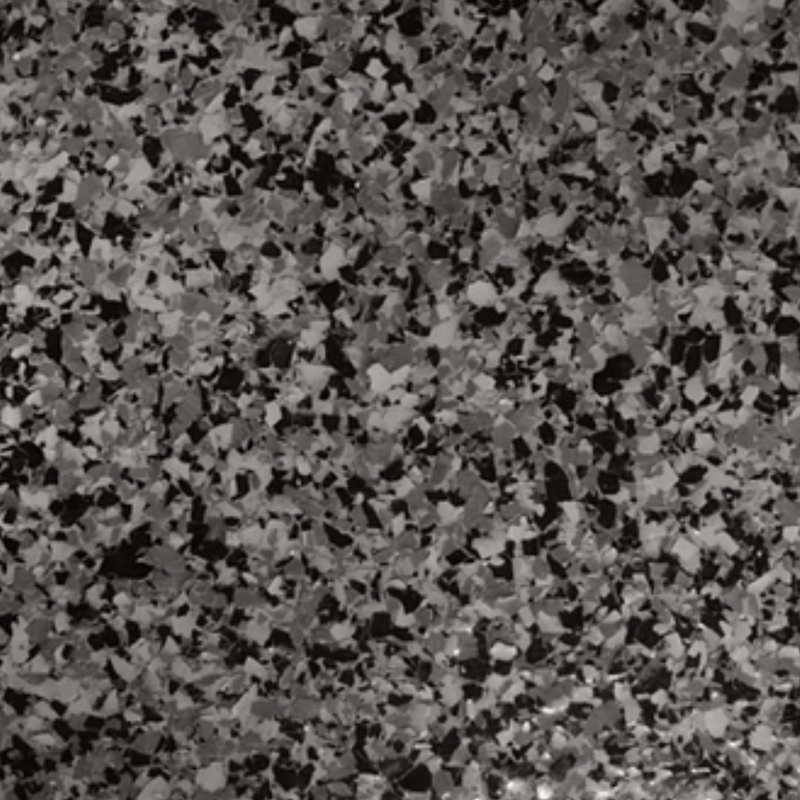 Our Polyaspartic Flake Coating is a resin type coating system that consists of a tinted base coat, vinyl chip flake broadcast, and a clear polyaspartic glaze. Garage Floors, Basements, Patios/Balconies, Showrooms, Warehouses, Mechanic Shops, Retail Stores, Industrial & Commercial. 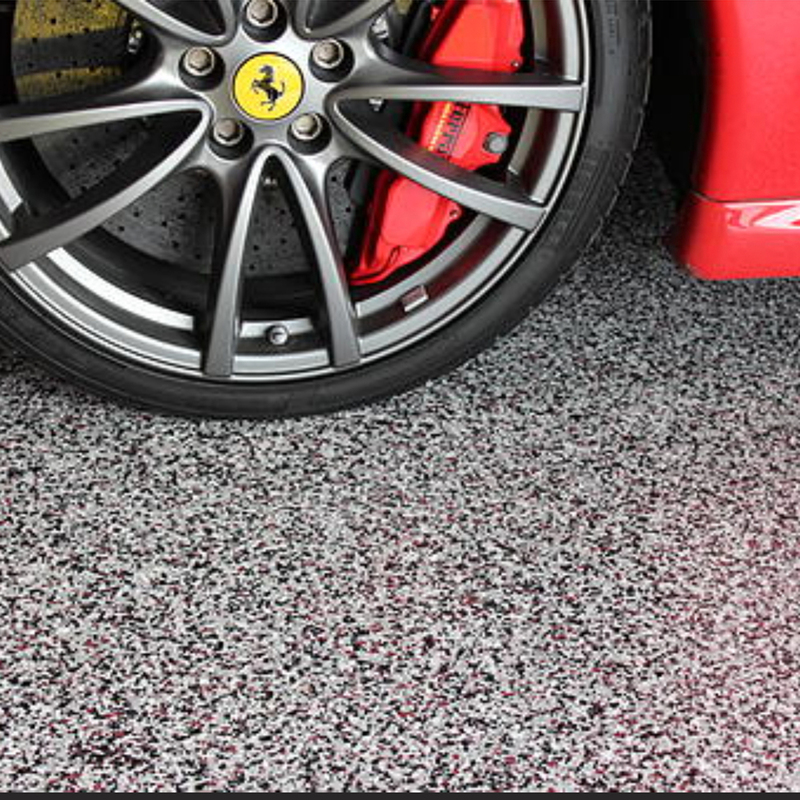 You will be required to re-glaze your garage floor coatings every 10-20 years depending on the traffic. Keeping the surface clean, and free of road debris will help increase the life of your Polymer Flake. The cost of a re-glaze is much less than the original finish, and will be applied at the same consistent thickness as originally installed.